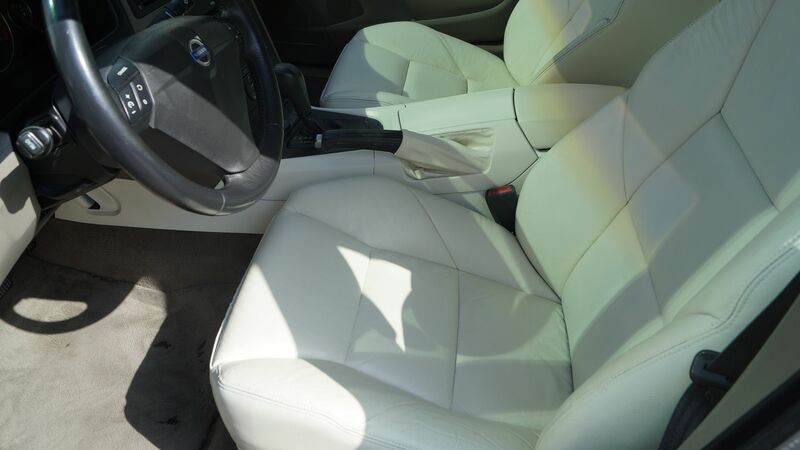 After 9 years under Abu Dhabi’s sun, where temperature during summer months is often reaching 50°C and for the reason of not being well maintained, the leather seats in my Volvo S60 got heavily cracked. 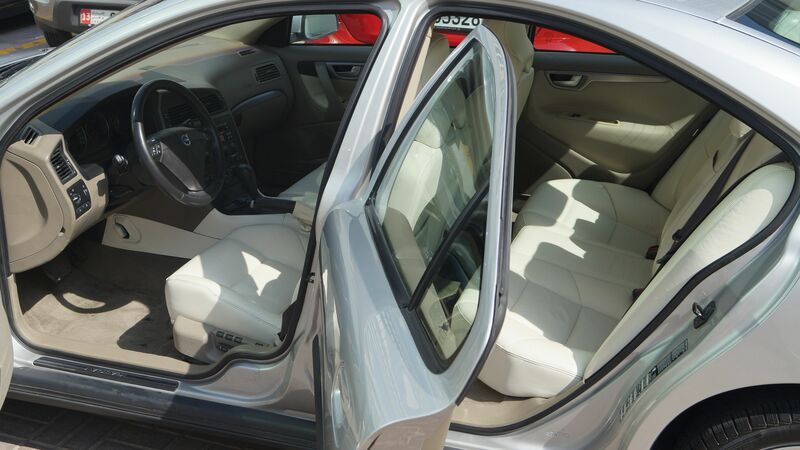 Driver seat was also teared as you will see on one of the photos. 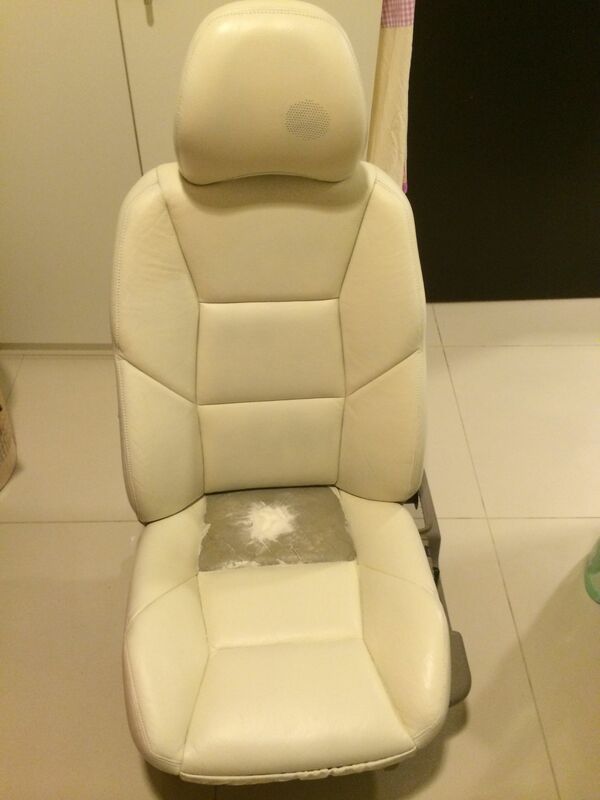 I was about to sell the car and decided to repair and recolour the seats myself. Searching the Internet, I came across to FurnitureClinic site and their 18 instructional videos posted on youtube and decided to give it a try. I have never done anything similar before. I was not in hurry – it took me nearly 3 weeks to complete the work, mostly working couple of hours in the evening after I came back from work and on weekends. I am saying this because I would like to emphasize importance of taking time to perform every step thoroughly. The repair work was done in the carpark of my building. Luckily, I have power outlet next to my carpark space and water tap was only meters away. That is all you need… and patience, of course! Having watched instructional videos I wrote my understanding of 10 steps I had to perform and before I started I sent them to the FurnitureClinic for confirmation that I had correct understanding of the steps. Here are they: 1. Clean leather with Leather Ultra Clean 2. 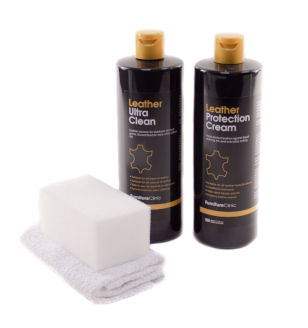 Apply Leather Prep Cleaner by using abrasive pad and cotton buds. 3. Apply Alcohol Cleaner 4. Apply Leather Binder 5. Sand the area with 1200 grit sand paper (omit this step if no repair is needed) 6. Apply Heavy Filler (omit this step if no repair is needed) 7. Sand the area again with 1200 grit sandpaper 8. Colour the area 9. 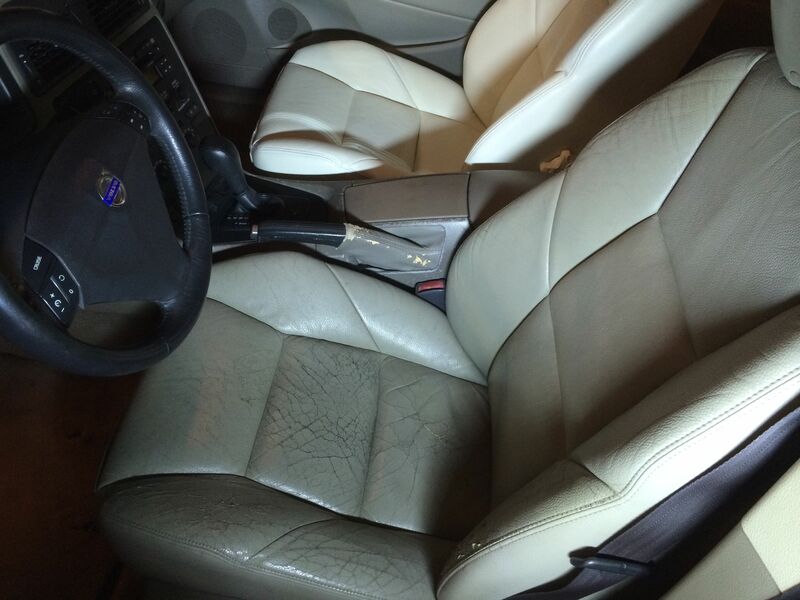 Apply Leather Finish 10. Wait 7 days before applying the leather protection cream. And the results? Look at the photographs, they speak for themselves. Note: I do not have photos for each step. 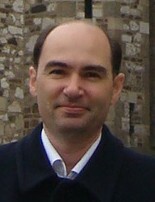 I will describe all steps, but the photo attached to it may not be corresponding one. The photos which are attached to the steps are in chronological order and depict the progress. Mind your health - get a gas mask if working with Leather Prep Cleaner. Good preparation is a key to success. Good preparation is a key to success. You always have to start with cleaning the leather and Leather Ultra Clean really does the job. If necessary use Tampico brush. Wipe off with the towel. 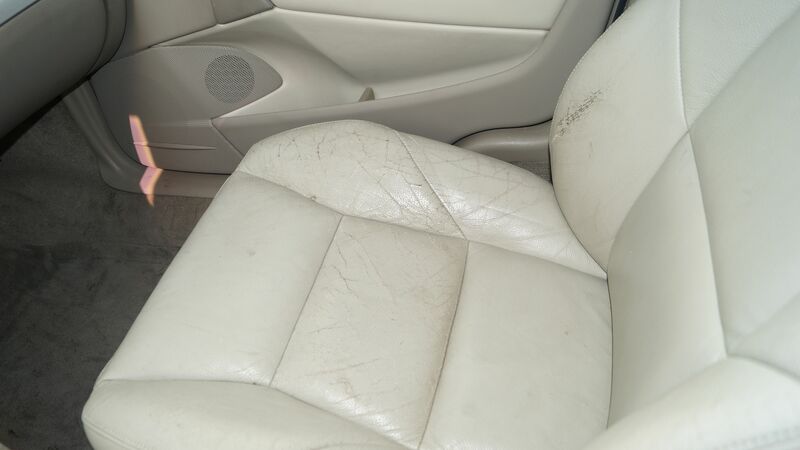 Apply Leather Prep Cleaner by using abrasive pad and cotton buds. It will remove manufacturer finish. Do not use it on sides and back of car seat. As it can be seen from the photo, you have to make damage worse before it gets better. IMPORTANT: I was working in underground car park of my building which is definitely not a good ventilated space, so I had to wear a gas mask all the time while applying Leather Prep Cleaner. It has very strong smell - similar to nail polish remover. 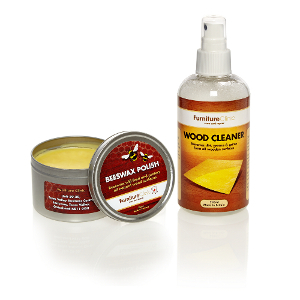 Just pour alcohol cleaner to the cloth and clean the leather. Leather Binder is very thin. You can apply up to 10 coats. Pour a small amount on sponge and apply. Dry each coat with hairdryer before applying next. 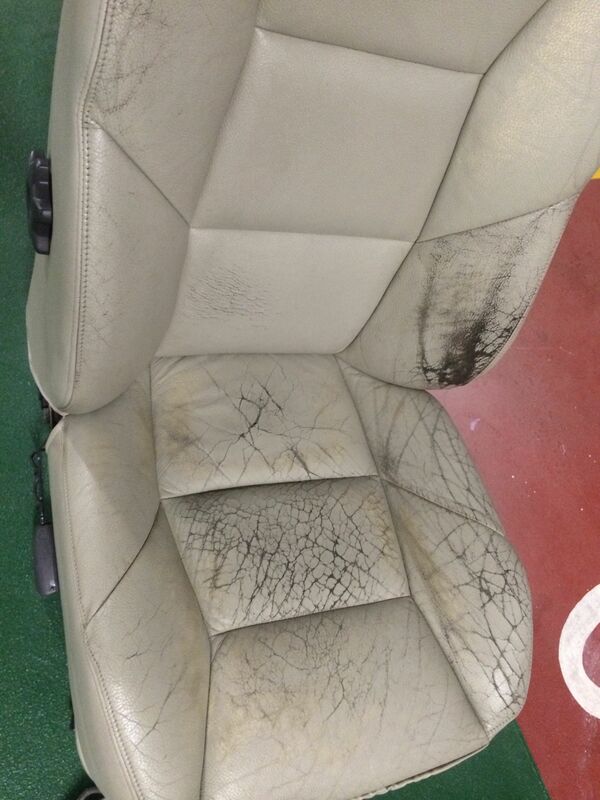 Passenger seat repaired, driver seat not. You can omit this step if no repair is needed. I couldn't! Omit this step if no repair is needed. Heavy Filler is that magic substance which does the trick! 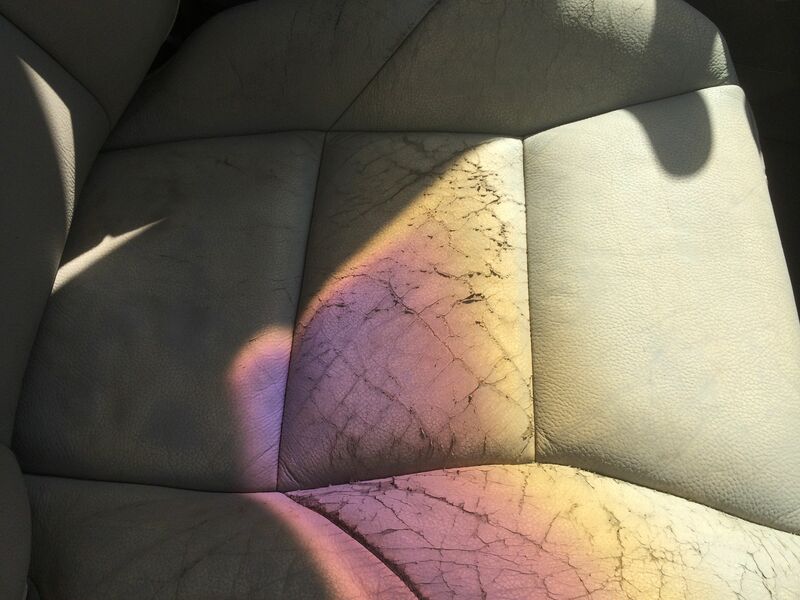 It fills all cracks and makes the leather surface smooth again. When it dries it remains flexible. I was using a hairdryer to dry heavy filler and to speed-up the process. Apply again if needed. Learn from my mistakes - see the warning in next step. WARNING: Do not keep hairdryer too close to the leather. 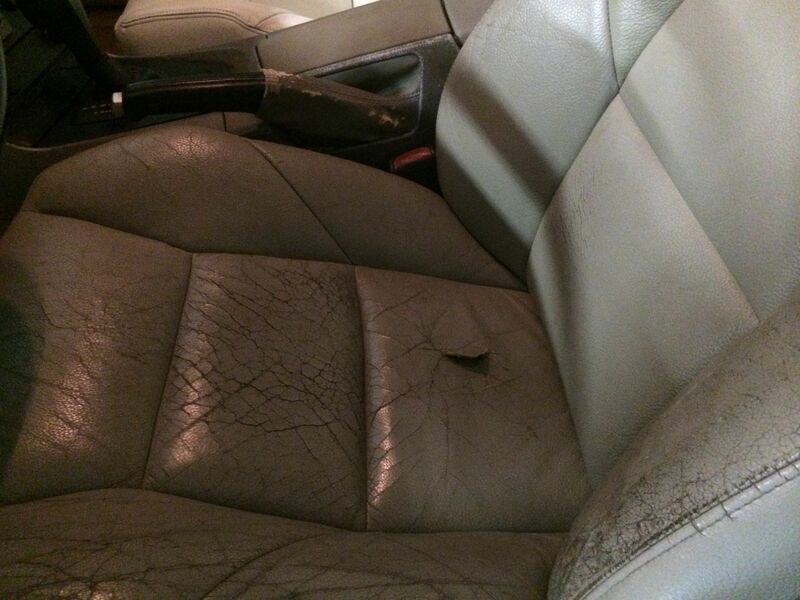 As you could see from the "Before Photo" above, there was a tear in leather (piece of leather is protruding up). I repaired it by putting a canvas sub patch under and gluing the leather to it. Then I applied heavy filler. When drying heavy filler, I put hairdryer too close and due to excessive heat the teared portion of leather started to shrink, leaving a big gap. 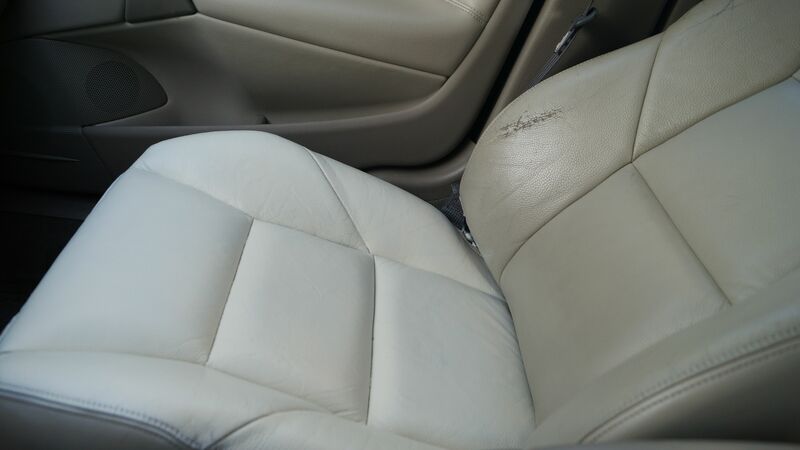 Photo to the left shows the driver's seat completely repaired, except the teared area where leather shrunk. I contacted FurnitureClinic seeking the advice how to rectify this. I had to apply large amount of heavy filler and to leave naturally to dry overnight. The filler will feel quite hard at first. After a good sand to blend it in to the surface of the surrounding leather, you will find that it will start to flex more. I applied heavy filler again on the same spot next day and sand it again. Only then I was ready to paint this last portion. Shake the bottle of colour well. Apply colour to the sponge first and gently rubber into the leather. Dry with the hair dryer. Apply another 2 coats of base colour allowing each coat to dry. Spray the colour. Spray it from about 15cm away from the surface. 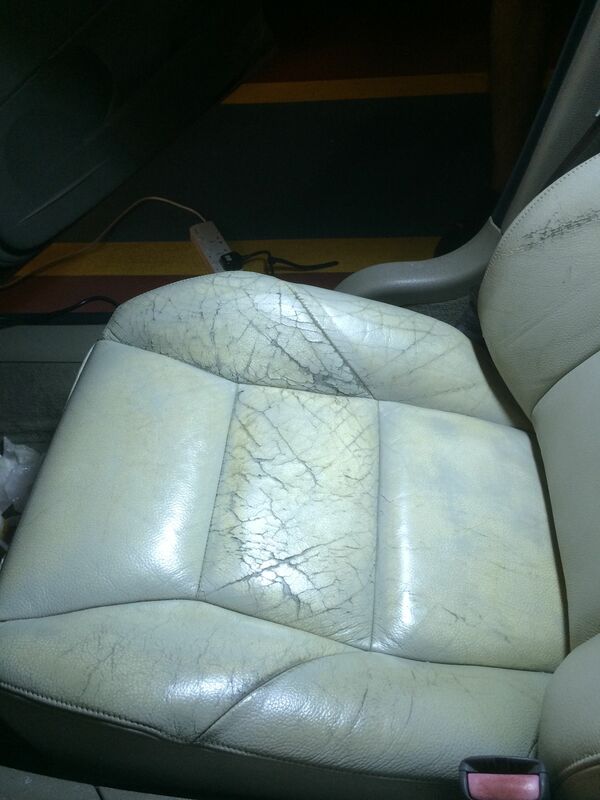 I spent exactly 1 liter of colour to paint both front and rear seats. ADVICE: For large job like I did, get a compressor. I ordered one from FurnitureClinic: Clarks - mini air compressor. Fantastic device! So quiet and even after hours of continuous work does not overheat. Shake Leather Finish bottle well and pour it into the glass jar of the airbrush. Spray it from about 30cm away from the surface. You may apply many coats of finish. Dry each coat with hairdryer. Apply small amount of the cream to a clean cloth and rub it into surface. Can you show us pictures of how this is holding up after a few months of daily use? John, Thanks. I ordered Light Cream CR02 colour. With cracked leather, heavy filler is inevitable and that also means sanding before and after you apply heavy filler - steps 5, 6 and 7 I described above. Great work Dejan- you certainly have patience!